Ottimo-Perfect Cut is a cutting optimization software for single blade and angular beam saws with several features such as: materials archive management, pieces archive management, single-job and multi-job (cutting list with pieces of several materials) optimization, expected machining time and costs computation, machine code generation, production reports, panels labeling, 3D simulation. Ottimo-Perfect Cut is installed in a PC with Windows� O.S. in the factory or in the office, can be connected with an Ethernet network with the administration software and with the Panel saw software interface. Ottimo-Perfect Cut allows to obtain an optimized sequence of cutting pattern starting from a cutting list, a material list and a machine configuration. By modify the configuration parameters you can obtain the solution as needed, with minimum waste or minimum machining time. Complete production reports are available. Optimized programs can be exported easily to the panel saw. Moreover the optimizer shows report with estimated times and costs and output customized labels for obtained pieces and off-cuts. 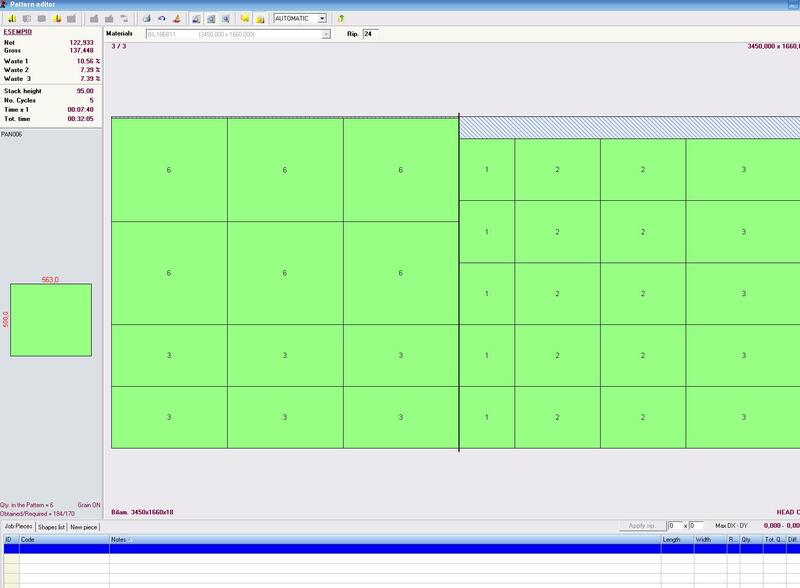 * Simple job programming to optimize cutting lists with panels of the same material. * Standard parameters can be customized for each job in order to obtain the best result. * Automatic filling of cutting patterns with by using a filling list. * Details are showed for each selected panel or waste in the pattern. * The multi-job programming allows to optimize cutting lists (up to 10.000 lines of pieces) with panels of several materials. * Labels can be printed every single piece or by book or by stack of pieces.